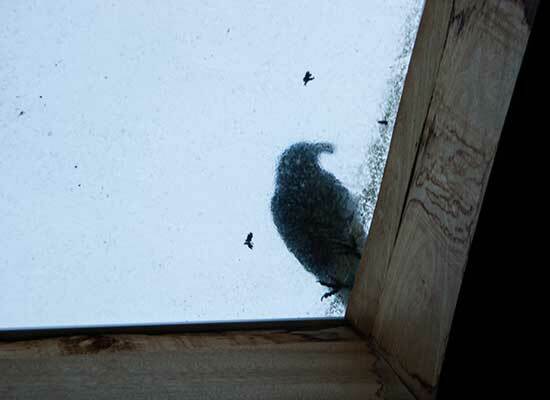 Last weekend there was a strange sound like scraping on the roof. Bob called me and I went out to the shop. 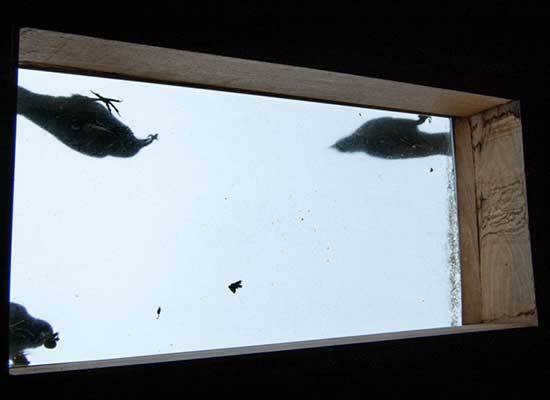 There were crows partying on the skylight. There’s a hazelnut tree between our house and the house next door. At the end of every summer the squirrels go insane. I find hazelnut husks and buried hazelnuts everywhere. I’m guessing the crows maybe found a squirrel stash? Today I noticed a squirrel nest in the tree. 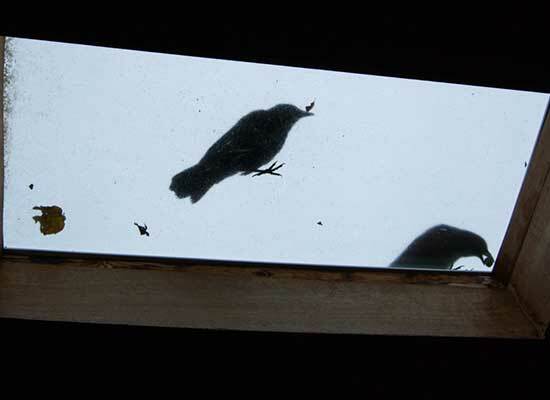 It was a little creepy having the crows trying to crack the nuts on the skylight. After watching them from inside, I went through the house and out the front door to see if I could get a picture of them on the roof. 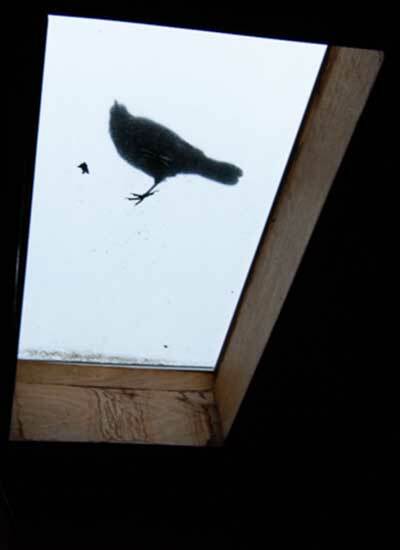 Meanwhile, Bob had done the same thing out the back door so right as I went outside, a bunch of crows came swooping off the roof. I was traumatized by The Birds as a kid so I covered my eyes with my hands and stumbled back into the house as fast as I could. “PUT A BIRD ON IT”!